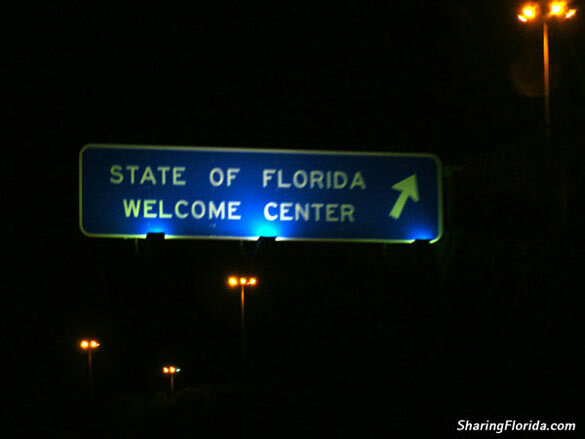 Photos of the Welcome to Florida sign you see as you enter Florida from Georgia on I-75. 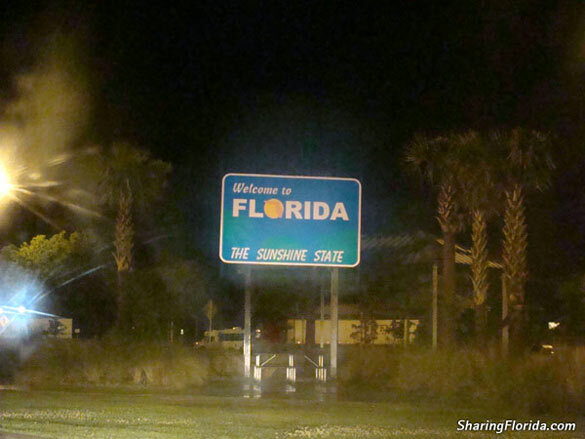 This is located near Jennings Florida. 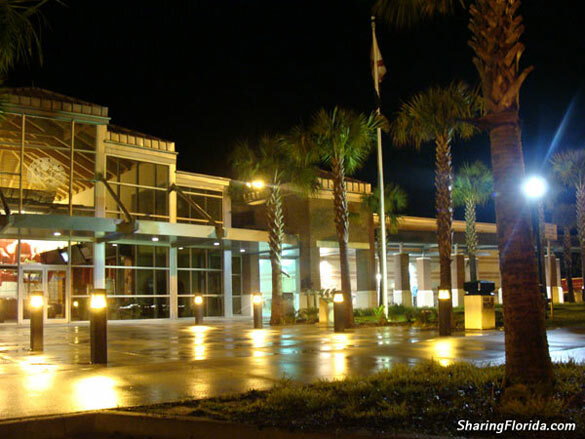 Includes a photo of the Florida rest stop. 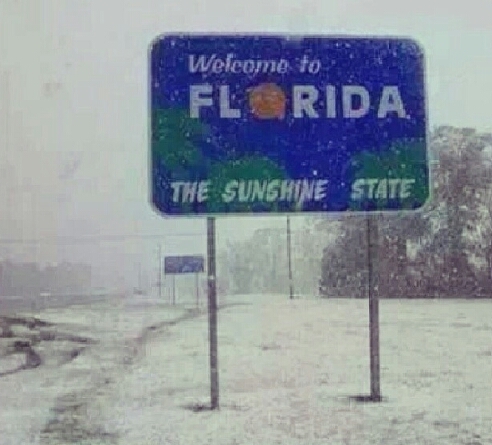 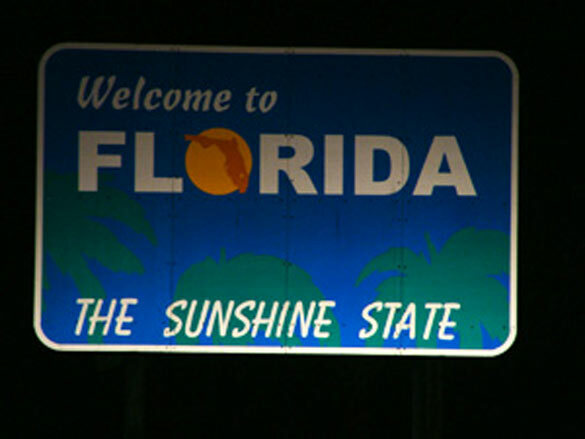 The snow photo is of a different Welcome to Florida sign.